Gambling Disorder is a behavioral addiction diagnosis introduced in the Diagnostic and Statistical Manual of Mental Disorders, fifth edition or DSM-5. This is the first formal recognition of a behavioral addiction in the psychiatry text, which is considered the "gold standard" in the field of mental health. The parallels between gambling addiction and drug addiction have been drawn by experts for decades, although whether or not behavioral addictions share similar characteristics to substance addictions has always been controversial. What is now unquestioned is that gambling behaviors can become compulsive, can lead to major financial and emotional problems, and are treatable using similar approaches to the treatment of substance addictions. This has been repeatedly demonstrated by research, and as a result, it is now fully recognized as an addictive disorder. To meet the criteria for gambling disorder, a person has to have at least four of the problems identified below, within a 12 month period, in conjunction with "persistent and recurrent problematic gambling behavior:"
Needing to gamble with more money to get the same excitement from gambling as before. Feels restless or irritable when trying to reduce or stop gambling. Keeps trying to reduce or stop gambling without success. Gambling is frequently on the person's mind -- both reliving past gambling experiences and planning future gambling events. Gambles when feeling depressed, guilty or anxious. Tries to win back gambling losses. Lies to cover up how much they are gambling. Loses not only money, but also relationships, their job, or a significant career opportunity as a result of gambling. Becomes dependent on other people to give them money to deal with financial problems that have been caused by gambling. 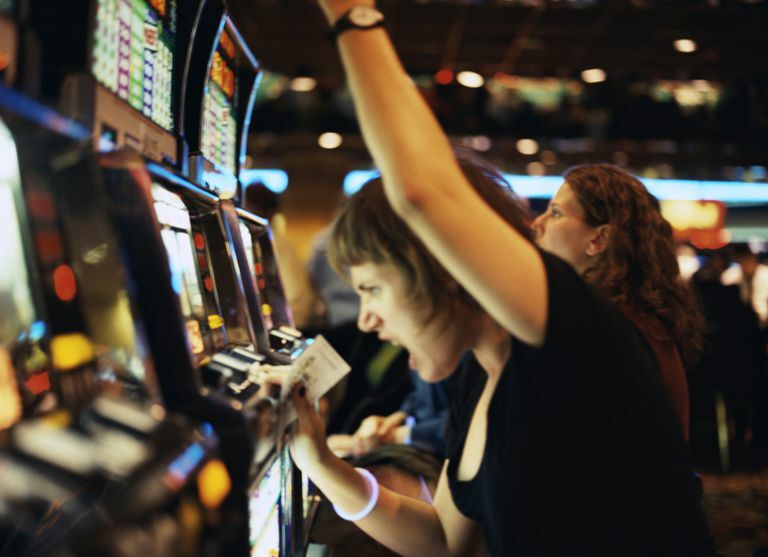 Sometimes people who have bipolar disorder gamble a lot while they are having a manic episode. This is not gambling disorder, even though the behaviors and the consequences can be similar. However, this is not to say that gambling problems that happen during mania are not as serious as gambling disorder, but rather, to make the distinction between gambling problems that emerge from a pattern of addiction and those that occur during certain phases of bipolar disorder. One of the features associated with gambling disorder is distortion in thinking. For example, like other addictions, denial is common. But unlike other addictions, people who develop gambling disorder are typically quite superstitious, and those superstitions reinforce the addiction, and belief in winning. Another pattern of distorted thinking that may occur in gambling disorder involves "chasing one's losses." Although gambling problems may seem trivial on the surface, in reality, they are anything but. One of the reasons that gambling disorder has become recognized is because of the severe consequences for individuals and their families. Not only do some people who develop gambling disorder literally gamble away everything they own, and end up in crippling debt, but far more of them become suicidal than would be expected in the general population. In treatment populations, about half of those with gambling disorder have suicidal ideation, and about 17% have attempted suicide. If you or someone you know is considering self-harm, call 911 or go to your nearest emergency room. American Psychiatric Association. Diagnostic and Statistical Manual of Mental Disorders. American Psychiatric Association, 2013.